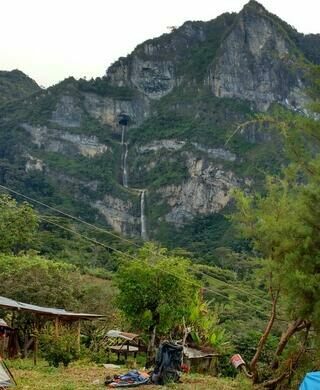 At this waterfall, a river erupts from the mouth of a cave high up on a mountain. The water hurtles toward the ground in a flurry of bubbles and mist in an awe-worthy, powerful spectacle. Largest monument in Colombia depicts 14 lancers who drove back an army. Visiting this amazing place feels like going into a Jurassic Park movie. 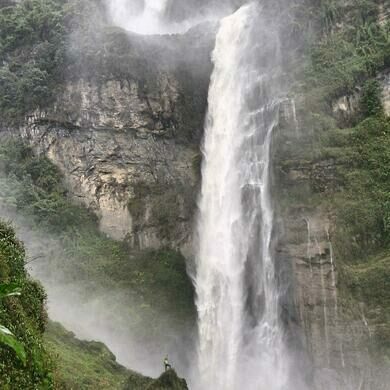 This hidden gem of Colombia lies in the eastern Andes and has remained largely off the typical tourist track. Strangely, someone erected a giant Godzilla-like creature to guard the entrance, adding an artistic human touch to this otherwise natural wonder. The cave, which is aptly named, acts like a window. Those who make the uphill hike to explore within are rewarded with spectacular views over the countryside. The cave also serves as a window into the area’s geologic past, letting visitors witness the power of a river determined to overcome any obstacle that may stand in its way. The river that forms the waterfall winds through a deep canyon that eventually comes to a halt. A combination of erosion and the underlying geology allowed the river to carve its way through the mountain wall, forming a cave that stretches for about 650 feet. The river then pours out of the cave’s opening, resulting in a three-tiered waterfall that roars thunderously as it the water plummets through the air. The name of the place comes from the chief (cacique) who ruled this land when the Spaniards invaded. Legend has it that he jumped to his death after defying the Spanish, who sought to enslave his people. The best way to live the adventure and really enjoy the journey is by mountain bike. 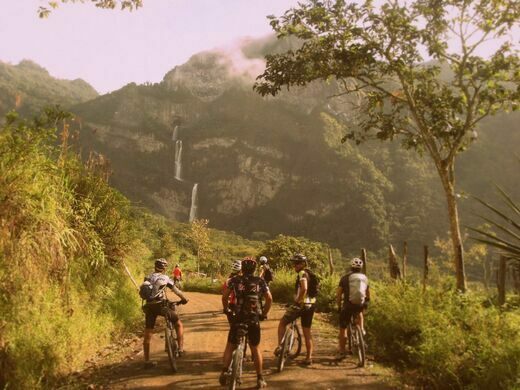 Bike Colombia does tours which start from Bogotá by car and the from Chiquinquirá by bike. The area has also become a climbing destination after the owners of Bike Colombia told some fellow climbers about the place. This whimsical home made entirely from clay is basically a giant piece of pottery.